The Municipality of Milan achieved to remove “Aibi-Amici dei Bambini” from the EurAdopt 2018 event, sponsored by the European Parliament, the Lombardy Region and the orders of psychologists and social workers. The agency is under investigation for criminal association, aiding illegal immigration, child abuse and corruption. On June 7 there is a new hearing, which is still in the preliminary phase. 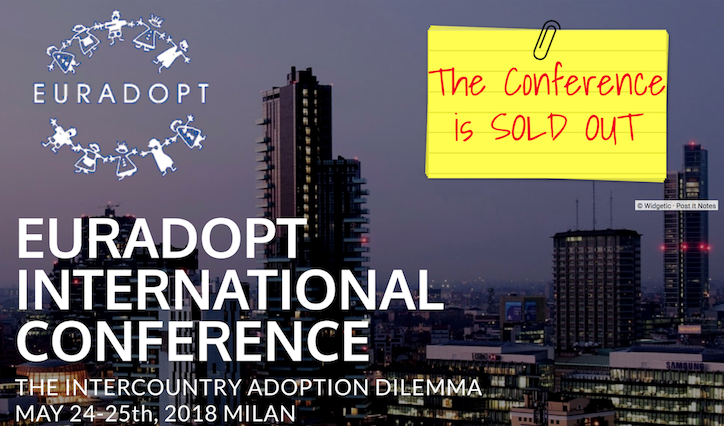 The international conference on adoption of EuroAdopt 2018 children, which the city of Milan hosts from Thursday 24 May at Palazzo delle Stelline, begins with a slide. A formal protest on Tuesday evening from the municipal councillor for Social Policies, Pierfrancesco Majorino, transmitted personally by the mayor Giuseppe Sala, forced the organizers to cancel the presence of the NGO “Aibi – Amici dei bambini”, exponent of the European network “Euradopt.org”, Which was supposed to represent Italy on the inaugural day. 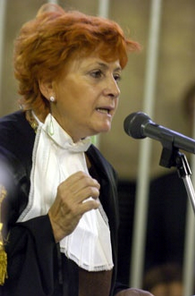 The president of Aibi, Marco Griffini, the managing director and wife of Griffini, Irene Bertuzzi and their daughter, Valentina Griffini, responsible for operations in Africa, are in fact investigated by the District Anti-Mafia Directorate of Milan for crimes of aggravated criminal association, aiding illegal immigration, corruption, child abuse and disclosure of confidential information. The investigation stems from dozens of complaints from Italian parents who, without their knowledge, through Aibi would have adopted children who could not be adopted, because they had never been abandoned by their natural families in the Democratic Republic of Congo or because the sentences of adoption issued by a Congolese Court would contain untrue statements. On June 7 the Milan Court of Appeals will decide on the rejection of the judge for preliminary investigations, Sofia Fioretta. The investigating judge Fioretta had denied wiretapping, believing that the evidence was insufficient. The rejection provision and the twenty-seven pages of motivations, however, according to the offended parties are equivalent to a sentence of acquittal decided prematurely by the magistrate, without there ever having been the possibility of carrying out investigations. An alleged violation of Article 37 of the Criminal Procedure Code, for which the parents now request that the judge be replaced. Deprived of the wiretapping tool the public prosecutors of the DDA, Paolo Storari and Giovanna Cavalleri, coordinated by the then deputy prosecutor Ilda Boccassini, had resigned themselves to request the archiving of the whole investigation, although in their deeds they had written: “The events above reconstructed, with reference to all the problems arising in the adoption procedures of the Congolese children, lead us to believe that the reported and ascertained irregularities may constitute the usual modus operandi of the association in managing, even in other countries, the identification of adoptable children, the separation of the same from the families of origin (where existing), as well as the subsequent matching and reunification with Italian couples “. And again: «Also the circumstance that Aibi makes extensive use of the so-called exclusivity clauses with the individual reception centres or local orphanages (to the detriment of other Italian organisations) – by virtue of which a centre is obliged to report minors that can only be adopted through Aibi for consideration of donations of money for every successful procedure adopted – it can only raise more than a few suspicions: that behind these transfers of money we can hide not so much a contribution for the maintenance of the adopted minor, as stated in the agreement signed by Aibi with one of the Congolese centres, but rather the price of what could become a real trade of minors “. This is why the adoptive parents opposed the filing request. While the Griffins have always rejected the accusations. The EuroAdopt 2018 conference, organized by the Italian association Ciai Onlus, received the patronage of the institutions: the European Parliament, the City of Milan, the Lombardy Region, as well as the Stelline Foundation, the National Union of Minor Chambers, the International Social Service, the Order of social workers and the Order of Psychologists. 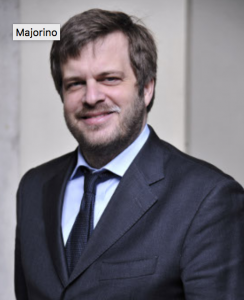 The association of Marco Griffini had sent Enrica Dato, the lawyer in charge of Aibi’s legal department that is defending the owners of the agency from the investigations of the District Anti-Mafia Directorate. On Wednesday morning his name and that of Aibi were cancelled by the program. The result is that on the opening day nobody will represent Italy, given that even among dozens of Italian agencies that never ended up under investigation, Ciai Onlus and Euroadopt.org had thought only of the agency of Marco Griffini. Until Tuesday evening the attorney of Aibi was on the list of speakers, a few lines before the juvenile magistrate Laura Laera, vice-president of the International Adoption Committee, the supervisory authority of the Council Presidency. A few hours before the protest of the City of Milan, we asked Laera if she did not consider it “unbecoming, for the image of the government to be represented and of the judiciary, to participate in the “XIII EurAdopt International Conference” in Milan, to which are invited and will participate, as an Italian representative of the same EurAdopt, an agency (AIBI) whose managers are still being investigated by the District Anti-Mafia Directorate of Milan for serious crimes. 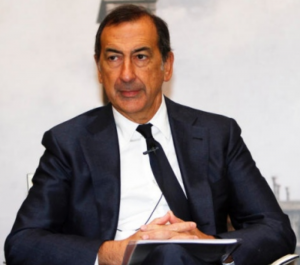 “The vice president of Cai, who is also the wife of the head of the Milan prosecutor’s office that is investigating Aibi and that on 14 February admitted Marco Griffini and his daughter under investigation at a coordination meeting of the Council Presidency, appears to have read the question sent by email. But she did not answer. Probably not even the adoption committee was informed by Ciai Onlus. Now that the invitation to Aibi has been discovered, its removal was demanded by the Municipality which saves many participants from embarrassment. None of the other sponsoring bodies had noticed the presence of an NGO under investigation, among other things, for the facilitation of illegal immigration. Not even the Lombardy Region with a Northern League guide. Although the guest list had long been published on the Internet.